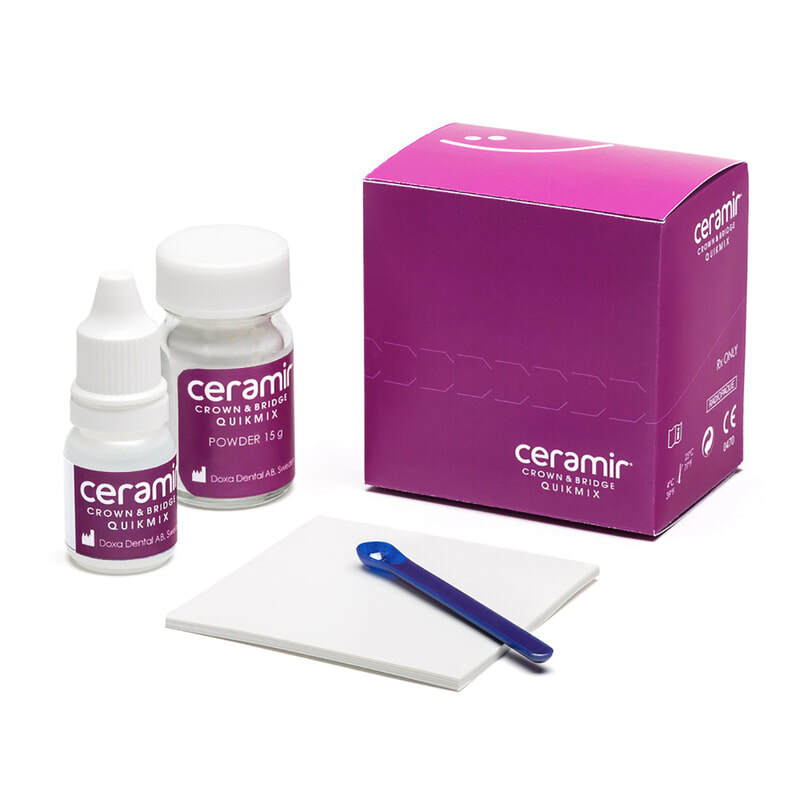 Natural and Biocompatible: No cement is closer to natural tooth structure. 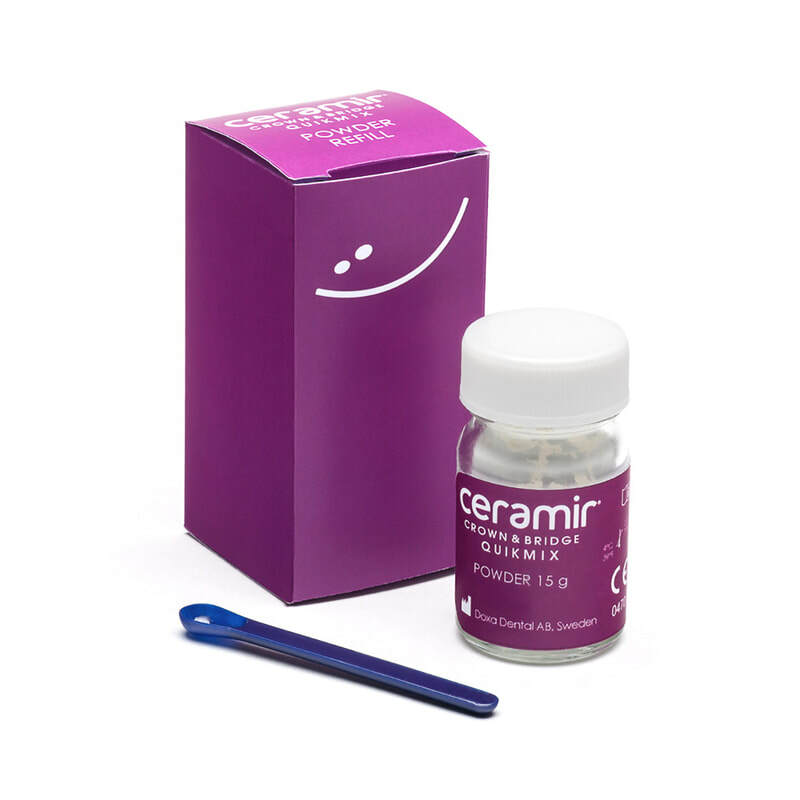 Permanent and Stable with Exceptional Retentive Strength: Makes contact with tooth-tissue tight, impermeable and stable over the long term. Strong: Retention equal to or superior to resin cements. Gets stronger over time – remains stable, does not degrade. No etching, priming, bonding or conditioning – SAVES TIME! The powder is supplied seperately in a jar and the liquid is supplied in a drop bottle. Contains a scoop for powder dosing and a non-absorbing mixing pad. 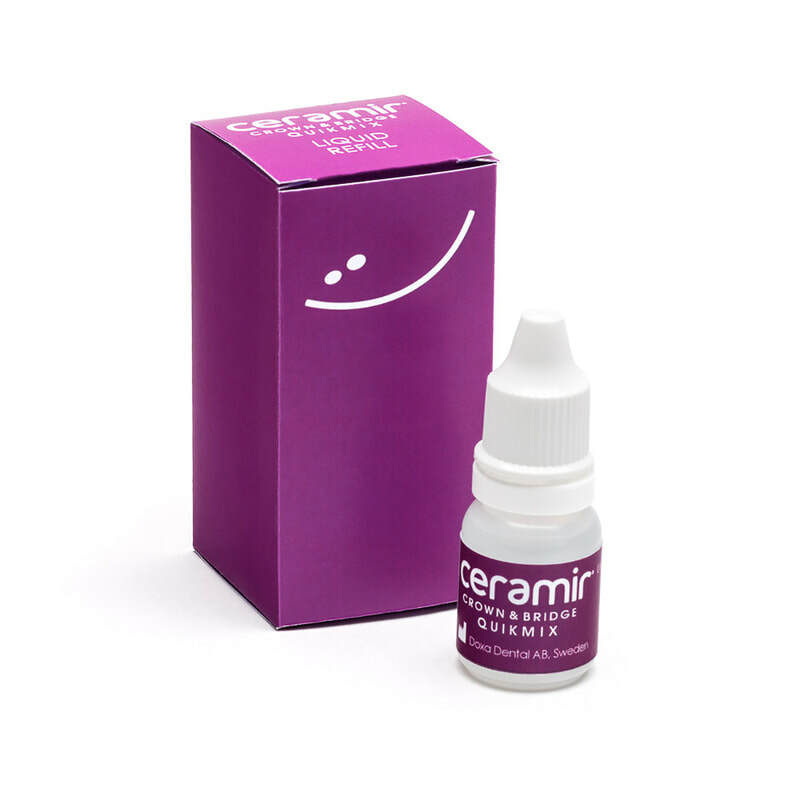 Liquid Refill for hand mixed Ceramir Crown & Bridge QuikMix. Liquid in a drop bottle. *A five-year retrospective clinical study of calcium-aluminate in retrograde endodontics. L. KRAFT, et al., J Dent Res 2008 Abstr #1333, Vol. 88 Special Issue B. **No cement related post-op sensitivity was reported in clinical trials, handling evaluations or post market surveillance among more than 25,000 patients.